After the legalization of medical or recreational marijuana in more than 20 states in the United States, Microsoft on June 16th, 2016, announced its first-ever partnership with a software company that supports the burgeoning cannabis industry. The collaboration involves Kind Financial, a Los Angeles-based start-up company that makes technology and tools for marijuana-related businesses to navigate the myriad rules and regulations in states across the country that allow the sale of marijuana. Kind sells what it calls “Agrisoft Seed to Sale software,” that lets growers track their plants from planting to the point of sale, and it provides kiosks that cannabis businesses use for cash management inside their stores. 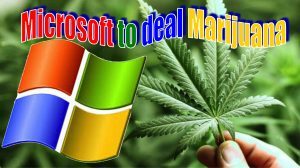 It’s the first time Microsoft has done a marijuana industry-related partnership, a Microsoft official told the media. But the company’s founder, at least, is not unaware of the issue. Bill Gates told BuzzFeed in a 2014 interview that he voted “yes” on the legalization of marijuana in his home state of Washington. “It’s an experiment, and it’s probably good to have a couple states try it out to see before you make that national policy,” he said at the time. 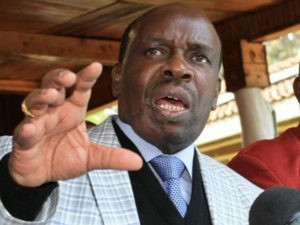 Campaign Against Alcohol and Drug Abuse (NACADA) chairman John Mututho described the Microsoft deal as a “Crazy idea” adding “a drug by any other name is a drug”. Now that experiment has turned into a business opportunity for the software behemoth. According to Kind, the deal announced with US giant corporate involves Kind participating in Microsoft’s newly created Microsoft health and human services pod for managed service providers. That means Kind’s products will be available to customers using Microsoft’s Azure government cloud product. It may not be legal across the country yet, but if corporate partnerships are any indication, marijuana is certainly becoming more legitimate. As the push for cannabis’ acceptance continues to play out across courtrooms and legislative floors nationwide, Microsoft has become the first major U.S. corporation to join hands with the weed industry. In a unique partnership, the Redmond, Washington-based tech giant has teamed up with the startup Kind Financial, a California tech firm that helps businesses and government agencies alike track the sale of legal pot “from seed to sale.” Thanks to the new partnership, Kind will be able to utilize Microsoft’s government cloud. 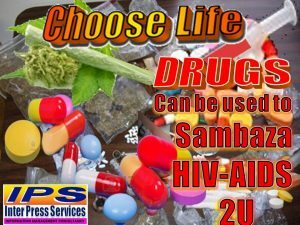 “Kind Financial is building solutions on our government cloud to help these agencies regulate and monitor controlled substances and items, and manage compliance with jurisdictional laws and regulations,” a Microsoft spokesperson added. It’s a bold move for Microsoft, but a potentially lucrative one, as the weed industry could soon become a highly valuable market. But then again, Microsoft will also have to figure out how to navigate the tricky issue of differing opinions on the legality of marijuana. While cannabis is legal in Washington state, this is certainly not the case across the country. All the same, it’s certainly a market-expanding move for Microsoft. “This is an entirely new field for us,” Nelson said. But there’s nothing like a little experimentation. 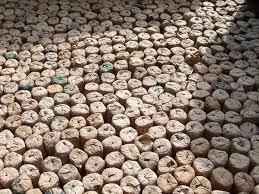 There have been voices in Kenya calling for legalization of Cannabis Sativa but that has yet gain momentum yet.